Handshakes, signatures, and possibly a toast all around were enjoyed as an agreement between Rome, the South Australian Government and the Agenzia Spaziale Italiana (ASI) company took place to produce a collaborative partnership to pursue space-related industries. South Australia is home to the Woomera Test Range in the heart of the Outback and 60 space-related organizations. It has also recently launched a space innovation and growth strategy. Academically, the University of Adelaide has launched an intensive post-graduate course titled Strategic Space Law to bring the legal profession up to speed with the new frontier. The Southern Hemisphere Space Studies Program is jointly organized by the International Space University (ISU) and the University of South Australia which is a five week live-in experience focusing on an international, intercultural and interdisciplinary (3 "I"s) educational philosophy. The next program will be held in early 2017. South Australia’s place in the international space industry was cemented earlier this year after a successful test flight of an experimental rocket in the HIFiRE (Hypersonic International Flight Research Experimentation) program. Each year space experts from across the world meet at the University of South Australia’s Southern Hemisphere Space Studies Program to discuss challenges and opportunities that are offered in the space industry. 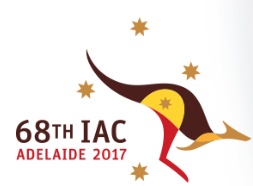 Adelaide, the capital of South Australia, will also host more than 3,000 delegates from around the world at the 68th International Astronautical Congress (IAC) in September 2017.